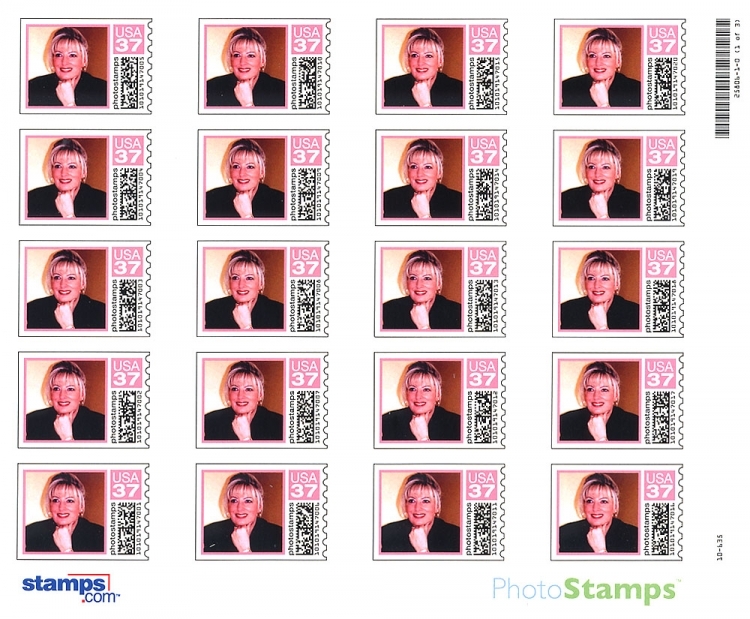 AUGUST 31--Nobody's dog deserves to be on a stamp. 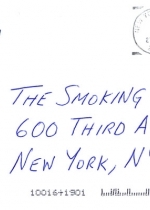 That was our first thought when we heard that the U.S. 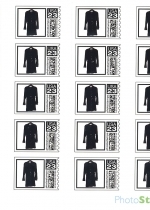 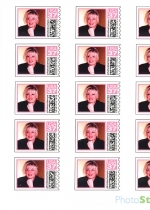 Postal Service had approved a pilot program for personalized postage. 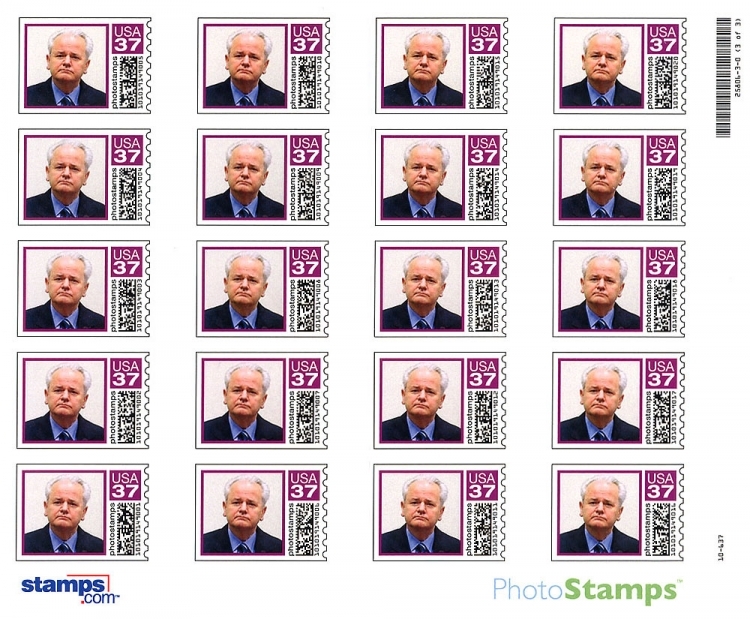 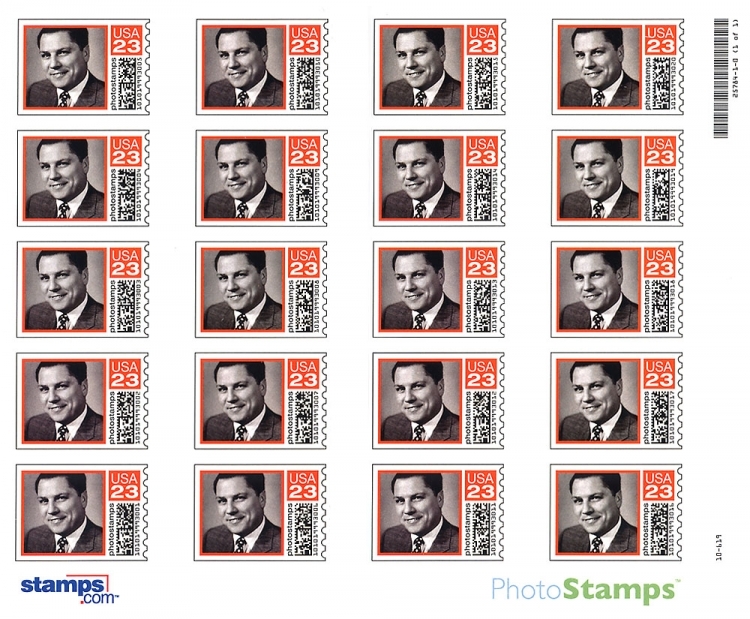 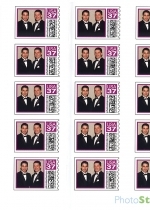 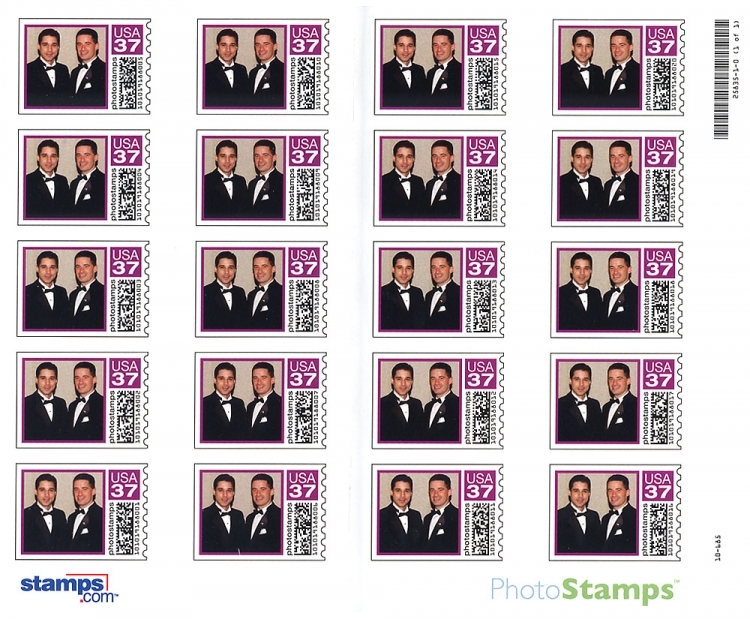 For about twice the regular cost, consumers can now slap any old picture on a stamp and surprise the recipient of their postcard or envelope (the image, of course, must not be deemed objectionable by the folks at Stamps.com, the online firm handling the trial run of Uncle Sam's postage gambit). 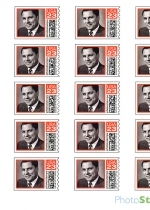 But since objectionable is such a subjective term, TSG sought to determine what kind of interesting stamps we could actually create. 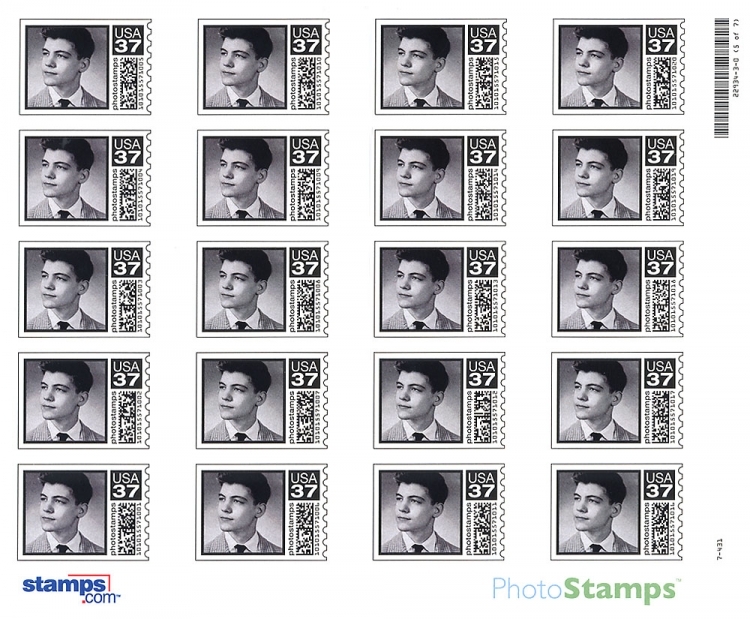 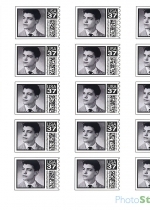 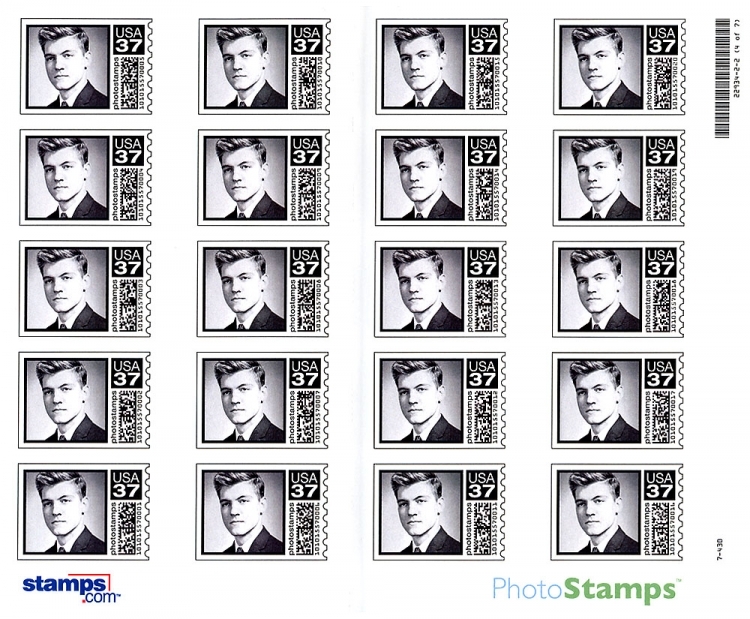 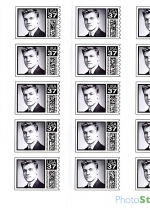 While the image censors rejected our request for stamps featuring mug shots of Lee Harvey Oswald, Salvatore "Sammy Bull" Gravano, and Unabomber Ted Kaczynski, they did green light other equally, um, distinctive postage. 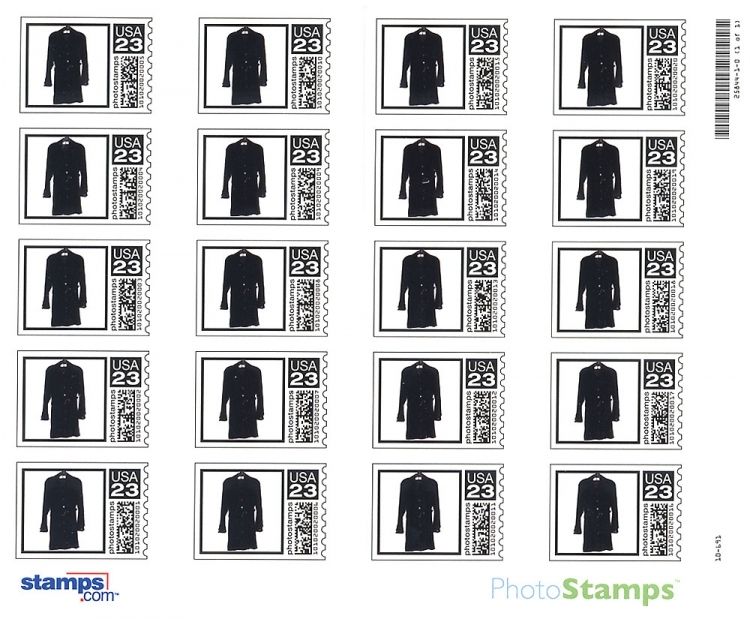 On the pages at left you'll find nine separate sheets of personalized postage (20 stamps per) that TSG can now legally affix to its snail mail. 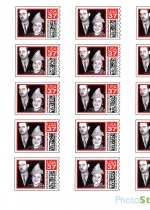 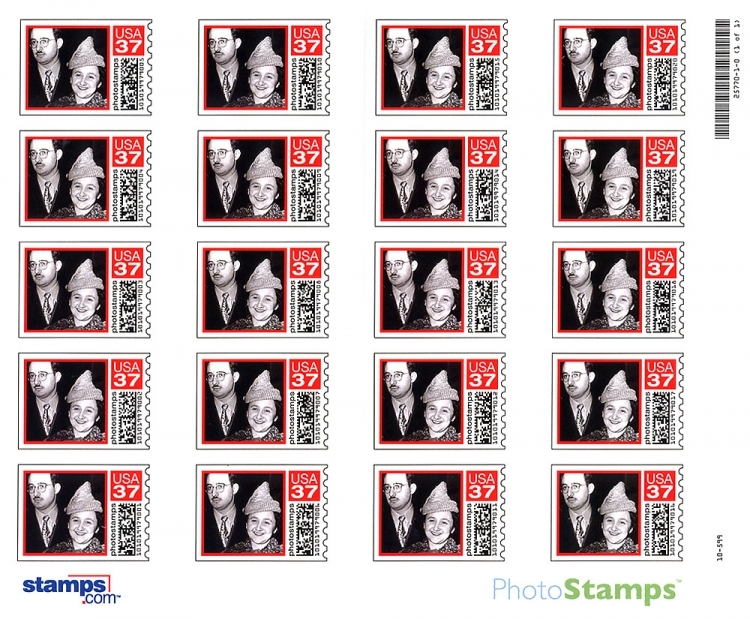 We're kicking off the collection below with our personal favorite, a 37-cent stamp featuring Ethel and Julius Rosenberg, the New York couple executed in 1953 for spying for the Soviet Union. 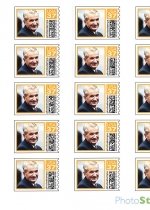 On the succeeding pages you'll find stamps honoring Monica Lewinsky's blue dress (the one splattered with Bill Clinton's DNA); Linda Tripp; deposed Yugoslavian ethnic cleanser/war criminal Slobodan Milosevic; MIA labor racketeer Jimmy Hoffa; executed Romanian dictator/Communist oppressor Nicolae Ceaucescu; New Jersey Governor James McGreevey and alleged gay lover Golan Cipel; and high school and college yearbook photos of Kaczynski, who used the postal service to deliver his homemade bombs. 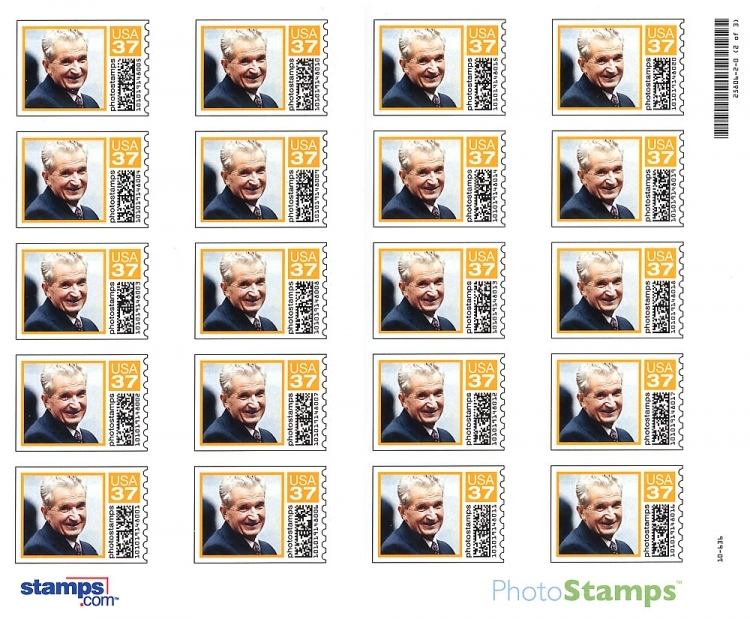 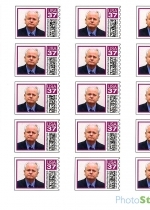 We put one of the Kaczynski stamps on an envelope and mailed it to our office, so click here to see the cancelled result.